Our product range includes a wide range of knee support hinged (neo), wrist brace with thumb (neo), wrist wrap (neo), knee wrap (neo), abs wrap (neo) and oa knee support (neo). 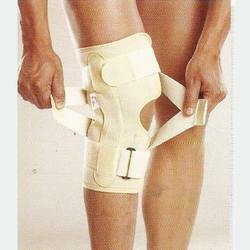 Owing to our expertise in this domain, we are offering our clients a wide gamut of Knee Support Hinged (Neo). The available products are manufactured under the direction of vendor’s professionals using supreme quality material following set standards. These products have silicon patellar padding compresses the patellar tendon & relieves patellar pressure. Customers can easily avail these products from us on diverse specifications. 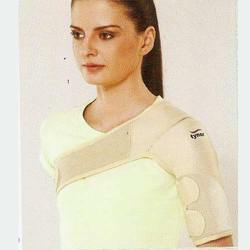 We are an unparalleled name engaged in offering a premium quality range of Wrist Brace with Thumb (Neo). This wrist brace is checked on numerous parameters in order to supply a defect free range to customers. Thicker fabric ensures therapeutic heat, increased blood circulation & faster healing. Besides, the offered wrist brace is wrapping around design with UBL fabric layer. We are one of the leading wholesaler and supplier of high quality range of Wrist Wrap (Neo). 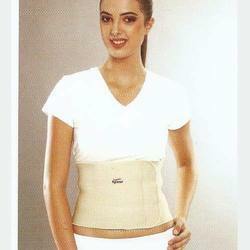 The wrist wrap is valued in the market owing to its optimum quality. Offered wrist wrap is inspected on varied parameters in order to supply a flawless range. Our vendors manufactured this wrist wrap using excellent quality of material & contemporary techniques by vendor’s highly skilled technocrats as per the norms of industry. 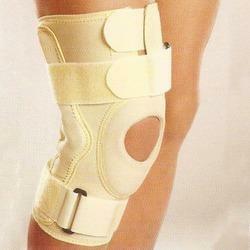 We are instrumental in providing our clients a comprehensive range of Knee Wrap (Neo). Our offered knee wrap is manufactured keeping in mind the set norms of industry utilizing premium quality material & leading techniques. 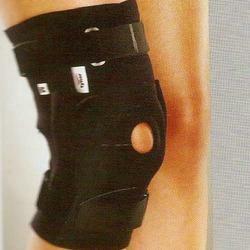 This knee wrap is examined by quality experts so as to deliver a flawless range at customer’s end. 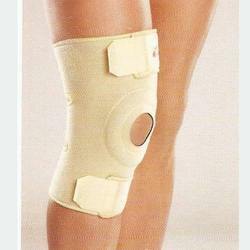 We provide this knee wrap from us within a committed time frame at market price. UBL fabric layer, ensure customized compression, better grip, and easy application. Neoprene sandwiched in nylon fabric has 4 way stretch, strong compression,excellent durability with appealing aesthetics. Tones up loose abdominal muscles. Excellent workmanship and pleasing looks. Can be worninconspicuously under clothing. Oblique elasticized bands provide counter force to correct varus or valgus thrust, & allay pain. Corrects the mild deformity on prolonged use. Rigid bi axial hinge erlsures full weight bearing along with free and natural knee flexion. Anterior closing & anatomic construction ensures strong support no bunching & easy application. Ideal Neoperene fabric construction. UBL fabric layer, ensure customized compression, better grip, and easy application. Neoprene sandwiched in nylon fabric has 4 way stretch, strong compression, excellent durability with appealing aesthetics. 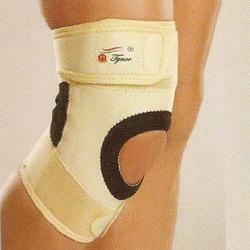 Better heat retention promote faster healing & pain relief. Anatomical shape ensures good grip around the shoulder & better immobilization. Can be worn inconspicuously under clothing. Aesthetically designed for sporting activity. Pleasing, double colored & trendy, can be worn fashionably. Top and bottom bands allow a controlled compression, better grip and easier slide while wearing. Back perforation, improves ventilation & comfort, ensures no bunching. Anterior patellar opening relieves patellar pressure, positions patella in dislocations. Ideal "Neoperene" construction. Rigid biaxial hinge ensures effective support and weight bearing. Open design ensures easy application and customized compression. Anterior patellar opening relieves patellar pressure, holds patella in position. Neoprene fabric offers four way stretchability, enhanced compression, appealing aesthetics and good heat retention forfaster healing. Looking for Neoprene Products ?